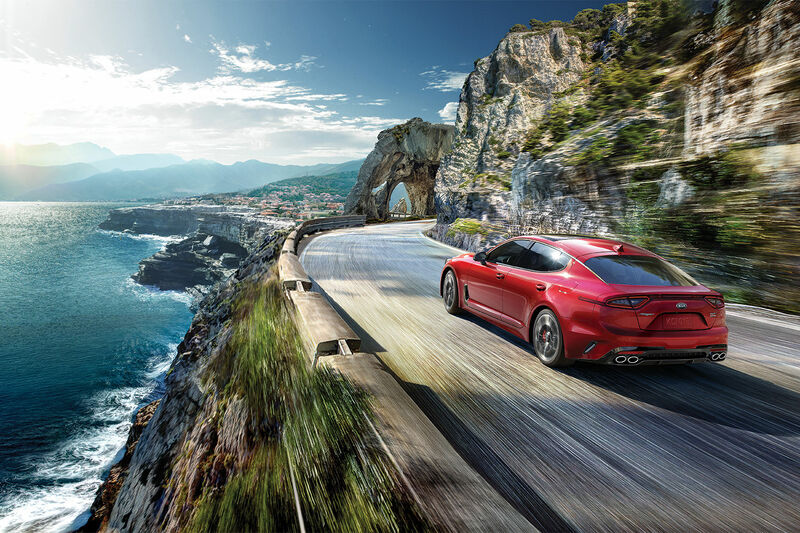 Kia shocked the automotive world when it unveiled the unbelievably beautiful 2018 Stinger at the Detroit Auto Show last January. And now that the Stinger is on its way, you can finally order your own model. 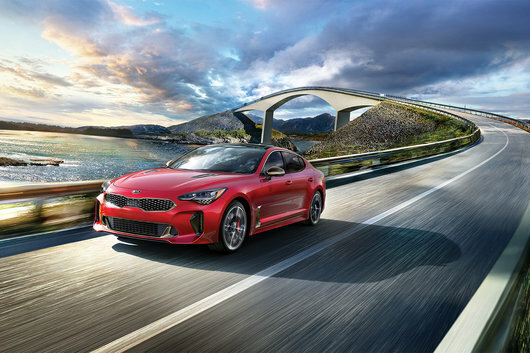 At Southland Kia, we would be delighted to present you the different variants of the new Stinger, and to reserve the one that’s best suited to your needs. In addition to its stunning design, the new Stinger 2018 is a breath of fresh air at Kia thanks to its striking performance. 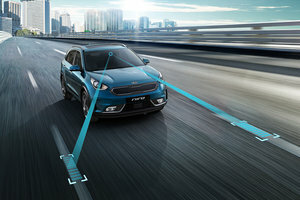 Out of the box, Kia’s new performance sedan features a 2.0-liter turbocharged four-cylinder engine developing 255 horsepower and 260 pound-feet of torque. If you’re looking for an overdose of adrenaline, a 365-horsepower and 376-lb-ft of torque twin-turbo V6 is also offered with the GT version. This engine will get you to 100 km/h in just 5.1 seconds. Outstanding performance. No matter the engine, the 2018 Kia Stinger is equipped with an eight-speed automatic transmission. All-wheel drive is standard with the Stinger GT, while the entry-level version offers a rear-wheel-drive configuration. Signed by renowned designer Peter Schreyer, the look of the Kia Stinger is certainly something to talk about. It's been a long time since we've seen a sedan that's so inspiring from a design standpoint, and that goes beyond the exterior. Inside, the Kia Stinger offers a cockpit that is centered on the driver. Everything is done to make you one with the car and keep your focus on the road. The head-up display system projects the information you need on the windshield while the infotainment system compatible with Android Auto and Apple CarPlay, is easy to operate without diverting your attention from the road to use it. 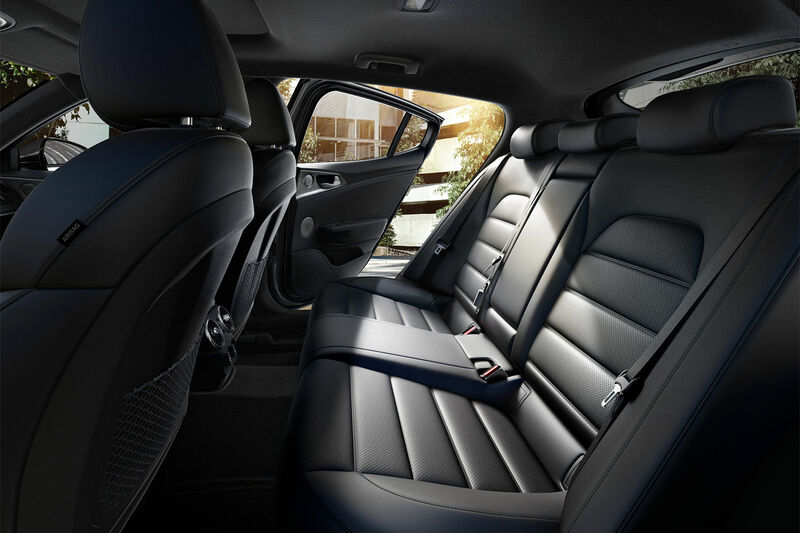 Both elegant and contemporary, the interior design of the 2018 Kia Stinger is imagined around the driver, just like it should be. Want to know more about the all-new 2018 Kia Stinger? 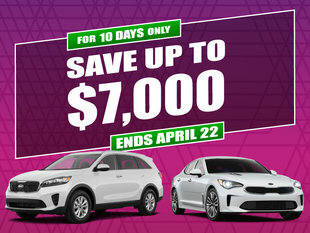 Visit us at Southland Kia today.